I was unaware of Khalid and his hit single “Location” (since I don’t listen to the radio), but I kept hearing his name getting thrown around until somebody told me he’s somebody I should check out. Apparently he’s supposed to be the next big act and at only the tender age of 19. I’m always down to hear new talent, so I decided to give his debut, American Teen, a listen. It’s hard to exactly place where the album falls in terms of sound. There’s a heavy influence of 80’s pop with it’s heavy use of synths and it’s generally upbeat production that still comes off as chill. It’s a strange mix of opposing styles that somehow works, for the most part. “Location” was his breakthrough single that really put him on people’s radars and it’s a cool song but I still can’t quite figure out why this one blew up as much as it did. “Hopeless” pulls heavily from his 80’s influences, complete with electronic drums and all, as does “American Teen” which reinforces the retro futuristic feel of a lot of the album. “Saved” is probably my favorite song off the album and it’s also probably his most contemporary. 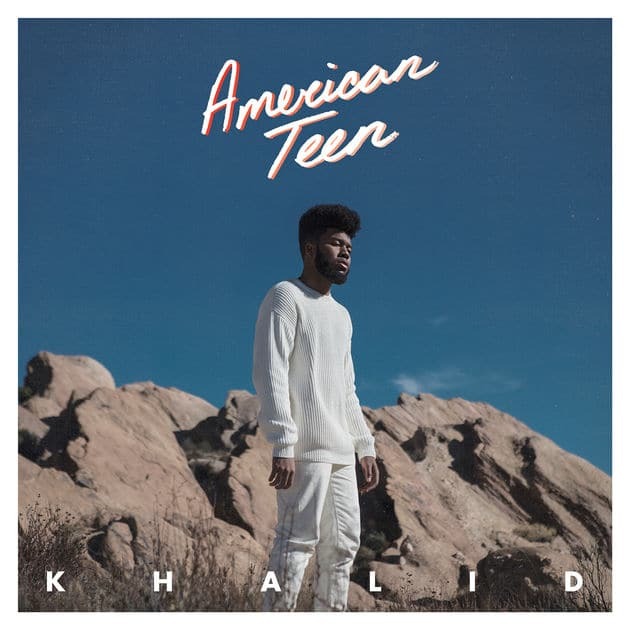 The production on American Teen was cool for it’s almost retro appeal, but at times I couldn’t help but feel like he was trying a bit too hard. If hipster had a definitive sound, this might be it. Khalid is a very graceful singer who sings with such an internal calm that makes him come off as much older than 19. His voice rarely goes above a hushed tone and it gives his music a sense of wisdom to it, despite the young topics he’s singing about. He has some great vocals and the songwriting is generally equally as strong. American Teen was far from perfect, but I can see why people would get excited about the potential it shows. He’s like a lesser, male American version of Lorde. Have you heard American Teen? What’d you think about it? Do you like the retro 80’s feel it has? Let me know in the comments below and be sure to leave your rating for the album. American Teen is an interesting first effort from the up and comer. It has a really unique retro feel to it that sets it apart from his peers, but at times it can come off as too forced. If hipster had a sound, this might be it. But I can see why so many are excited about his potential. He's like a lesser, male American Lorde.